Are you worried about your ageing complexion or perhaps the marks left behind from issues you had with acne in your youth? If so, then it sounds like microdermabrasion could be the right choice for you. Microdermabrasion is a process to rejuvenate your skin through exfoliation, removing dead skin cells. Collagen production is increased, ensuring that your skin appears more youthful. While it is possible to get this treatment completed by a pro, you may also be interested in investing in a machine that you can use at home yourself. 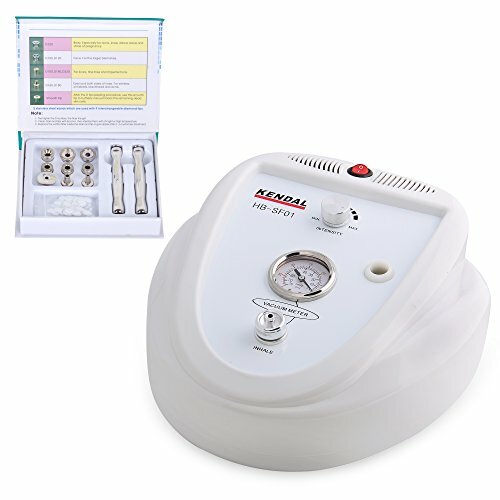 The best microdermabrasion system will deliver the high-quality results of a professional treatment at an affordable price and will also be easy to use. 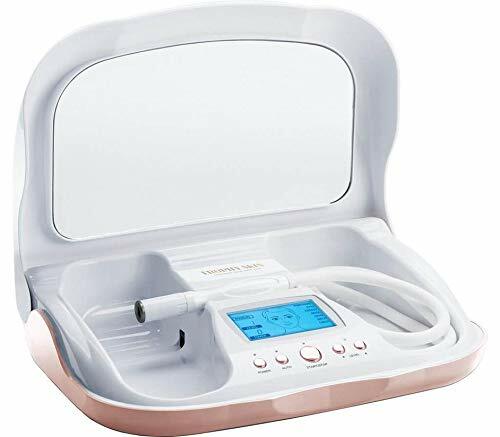 Here are five of the best microdermabrasion systems currently available on the market that will give you the results you want for your skin and complexion. Small, modern and available in two different shades, this product certainly looks impressive. But does it match the quality standards you would expect for what is a fairly high price tag? Well the good news is that you will see results if you choose to use this product. Indeed, it only takes a couple of weeks before you notice that your skin looks younger with fewer signs of age. You do however need to make sure that you are protecting your skin from the sun when using this device as it does leave it vulnerable. This device is also completely pain-free which, you might be surprised to learn, isn’t always the case with these products. That means there’s no zap and no intense lights. The product is designed to work using suction. You can actually feel it bring all the dirt, grease and dead cells to the surface. This also increases the blood flow which is how collagen levels are increased. It’s why after a few uses you’ll find that it causes your skin texture and shade to improve. One thing to be aware of is that you will need a fresh filter every time you use the product. For this reason, it is worth getting the extra 100 packages to ensure that you don’t run out. This is more expensive but it will be worth it in the long run. Our recommendation would also be to use a low setting at first and then gradually build up, following the instructions provided carefully. Another great benefit is the display system. While not a full-colour display, this does show you what areas of the work you should be completing on auto mode. When it’s time to move on the system will beep and ensure that each part of your face gets the right time for treatment. This one isn’t as technologically advanced as the previous option. Nor does it have the same beautiful aesthetic but the device from Kendal certainly provides that looks aren’t everything. Despite the seemingly old fashioned design what you get is a very strong suction system, assuming that you apply the right level of pressure with the diamond heads. It’s a great device for those suffering from acne too. While most of these machines seem mainly to be focused on correcting the signs of age, this product will show great effects on those plagued by new spots and acne scars. While there isn’t a full instruction system built in, you can find plenty of videos online showing you how to use this device properly. In terms of signs of age, it won’t remove wrinkles, but what it can do is make them significantly lighter so that they are barely noticeable. Another great point to be aware of is that this device is actually preferred by professional aestheticians. While some people may experience issues with the intensity of this device, this is usually due to the setting. Once again, start on a lower setting, until your skin becomes used to the treatment. Overall, this device provides fantastic value for money and if you have suffered from acne scars or your skin is ageing prematurely, then within a couple of years, you’ll see more results from using this device than the typical skin product. Furthermore, the range of this device means that you can use it for more than just your face. So, if you are worried about scars on your legs or your back, you will be able to use it for these as well. We really like the thought that has gone into the design of this device. For instance, the product provides a medium sized mirror built in. It’s a little detail but it means that you can easily see exactly what you’re doing. The compact design is great too and this will look great with your beauty products. Another great benefit is that it comes with a range of different tips. This means that it can be used in different areas of your face without any issues at all. So, you can get the hard to reach areas around your nose, mouth and eyes. We’re impressed with the customer service that Trophy Skin provide with this product as well. If you have any issues with the tips getting broken, they will quickly replace them and your machine will be as good as new. While it can be used for acne treatment, this product is mainly suited for those looking for microdermabrasion at home to combat the signs of age. While you can use it for acne, it’s important not to overuse the device as it is powerful enough to damage the skin. As such if teens want to use it on their skin, it should be with adult supervision. Another great benefit is that this product is incredibly easy to use. As soon as you turn it on, pointers are provided on display and you will be able to choose between different setting options. There are three main choices, each providing different benefits to your skin. DON'T LET AGE DULL YOUR SPARKLE: Buff away facial dead skin & promote cell turnover with this professional grade microdermabrasion kit that has a deep exfoliation tool. NOW WITH SENSITIVE MODE: Great for all skin types, the Trophy Skin MicrodermMD now has a sensitive mode, available for people with extra sensitive skin to exfoliate gently. DERMATOLOGIST RECOMMENDED: MicrodermMD treatments are clinically proven to reduce the appearance of wrinkles and dark spots while smoothing the skin. 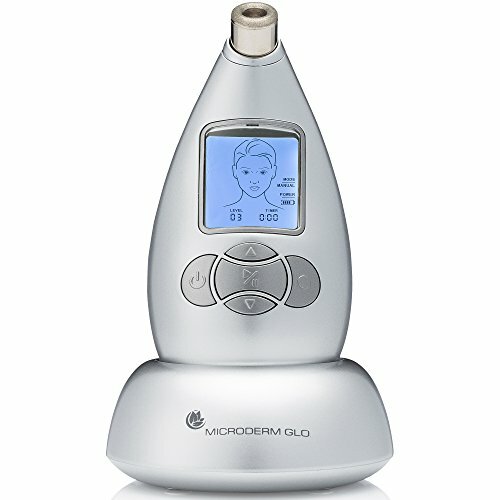 EASY TO USE: The auto mode feature on the Microdermabrasion machine - displays illustrations on how to use the device. REVOLUTIONIZING SKIN HEALTH: Trophy Skin is a leading developer of innovative beauty devices and skin care products including microdermabrasion kits to help keep your skin glowing. Try our products for 60 days or return. This is the cheapest product on our list but that does not mean it’s the worse. You get plenty of bang for your buck with this product. It’s another item that doesn’t come with a manual included. However, you can find a full video on the Zeny website. This will provide all the details you need to know about using the product effectively. Another benefit is that you don’t need any other products for this item. Instead, due to the diamond dermabrasion, it works effectively without anything else. Although, using a gel may help as some people feel like it is scratching their skin. If you can’t afford the more expensive options on the market, this could certainly be a great budget-friendly choice. It provides results that are similar to what you might expect from regularly visiting a spa. While this device does not come with cleaning solutions provided, you’ll find that it’s easy to find products online that you can use. As well as this, the device is incredibly easy to use and not as complicated as some of the options on the list. Once you have watched a short video, you’ll have no issues at all. Using this product, you will see the results incredibly quickly. Within just a couple of weeks, you’ll find that many of the marks across your skin fade to nothing. Kind reminder: Currently this ASIN is fulfilled by Amazon, any questions in using this device, please contact the third party seller ( USA EQUIPMENT SUPPLIER) for solution, seller will try best to help. Thanks. Easy for handle, portable, Suitable for Home use, Safe for all skin types. Does not use crystals, chemicals or lasers! Kind reminder: 1) Suction power is 0-65cmHg for personal home use, NOT as strong as used at Spa 2) 3 small O rubber rings have been attached on the 3 wands. 3) Power switch button lights up while no suction, please open device to re-connect interior hose and wire. 4)Power switch button not light up, please replace a new power cord and fuse to try. 5) Length of white hose is 3.93ft. While not quite as cheap as the product provided by Zeny, this option is still suitably budget friendly. You would expect this of course because the device is quite small. It’s a handheld so unlike other options there’s no main base for the device. The device is fitted with a cord. So, unlike other options that match this smaller aesthetic, you will need an outlet to use it effectively. The whole treatment with this device takes about an hour with five minutes in each area. You can use this product roughly once a week. Some of the main benefits include the fact that it’s very easy to use. Once turned on, you’ll be provided with a guide that you can follow for each stroke and area. It will also alert you when to start and stop for each area. Like other devices on the list, this device is completely painless and as well as this, it doesn’t leave red marks after use which is fantastic. Using the device you will see great improvements for your skin in roughly a week. Though for major changes, you will need to use it regularly for about a year. You won’t see the full benefits that you get with a more expensive product. However, this is still a great product for clearing up your pores. That will provide a more youthful experience and ensure that you take years off your age. The only issue is removing the head and finding out just how much dirt and grease this product has removed from your skin. It can be quite eye opening. Uncover your skin's beauty with an at home treatment device that is convenient, simple and affordable. 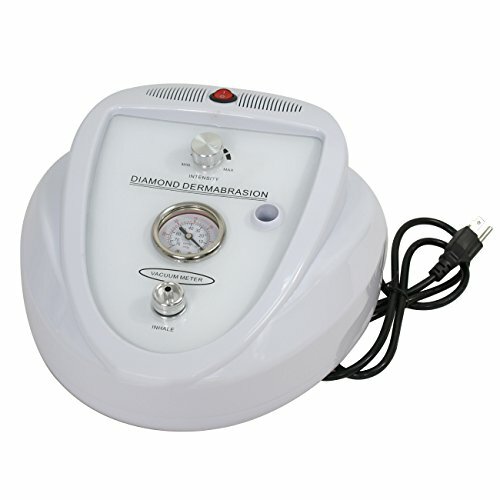 Uses diamond microdermabrasion technology to gently exfoliate, remove dead skin cells and stimulate your skin. Restores balance to your complexion with improved skin tone, texture, and elasticity. Reduces the look of acne scarring, age spots on hands and face, and reduces lines around the eyes. Relaxing, comfortable experience - a mini-spa treatment in the comfort of your home. We hope that you find this advice useful when looking for the best home microdermabrasion. There are plenty of different choices to suit a range of budgets. If you have the cash to spend, we recommend the Micro Diamond Glow system. Alternatively, if you’re looking to beat your budget, then Zeny’s choice could be a better possibility while still offering similar benefits.